Our Diocese and Bishop Vann, a member of our Ecclesiastical Board, have been most supportive of our programs. In this “Year of Faith”, they are offering a lecture series at our future Christ Cathedral (if you are in the area, this is a fabulous venue, check it out!). The Caster Group is a family owned development company specializing in the acquisition, development, construction, and management of premier A-1 Self Storage locations throughout California and Texas. For nearly 60 years the Caster family has worked in all aspects of the real estate industry including industrial, residential, retail, and beginning in 1983, self storage development. The Spitzer Center shapes culture in a positive new way — to deeper trust, to become more effective and to communicate better, ultimately making your home, work, parish, or diocese a better place. In the early 1990’s a group of international movements in the church met and founded Youth Arise International. In 2000, the same network of leaders came together to form a new organization — Partnership for China, an international effort establishing parish-based communities of faith in China. Inspired by the encyclical of Pope Benedict XVI, Caritas in Veritate (Charity in Truth) , and by the great need to combine the message of the Gospel with works of charity, many leaders of existing interrelated organizations decided to network their efforts and founded Caritas in Veritate International on May 1, 2010. Answering the Church’s call for a new evangelization, FOCUS, the Fellowship of Catholic University Students, is a national outreach that meets college students where they are and invites them into a growing relationship with Jesus Christ and the Catholic faith. To equip participants to defend and advance their Catholic faith in “the next America” — today’s emerging secular society. We consecrate our Mission to Our Lady of Guadalupe, Patroness of the Americas. The Napa Institute exists to promote excellence in Catholic thought and apologetics. It also seeks to instill a new zeal for Jesus Christ and the Catholic faith in all its participants. To accomplish this, one of the Institute’s key tools is an annual conference designed to help attendees respond to the moral and spiritual challenges posed by America’s emerging “post-Christian” culture. Though not a ministry of the Diocese of Santa Rosa, the Napa Institute annual conference is hosted within the Diocese with the approval of His Excellency, The Most Reverend Daniel F. Walsh, Bishop of Santa Rosa. To inspire Catholics to better stewardship of their time, treasure and talents, especially in aiding Catholic organizations in their mission. To deepen Catholics in the teachings of their Church, so they can evangelize others and defend their faith in secular society. To better form Catholics in a life shaped by liturgy, prayer, fasting, sacred music and building habits of holiness. To encourage religious freedom throughout our hemisphere. To build a spirit of community among believers in North and South America. To advance through reason and faith God’s truth revealed through His only Son Jesus Christ. To move participants to personal zeal and a more active involvement in Catholic apostolates, organizations and ministries. To provide fellowship and recreation to relax the mind, body and soul. Apologetics Based Catholic Bible Study by Fr. James P. O’Bryan, S.T. This Catholic Bible study has the thread of discipleship woven into every lesson. This New Testament study (with references to pertinent Old Testament writings) is designed to be led by the laity in homes or parishes. Student Workbooks (Meditations – with questions for sharing), Leaders Manuals and recorded presentations (mostly recorded live by Fr. O’Bryan) are entertaining, educational and habit forming. Free samples of the recordings and PDF chapters are available here. This study is also excellent for home study. Included are studies for: Introduction to the Bible, Matthew, Mark, Luke, John, Acts, Romans, 1&2 Corinthians, Galatians/Thessalonians, Hebrews and Revelation. There is also an excellent book for RCIA titled Rock Foundation Revisited. Healing the Culture has a unique mission: to build a pro-life culture by teaching people the deeper meaning of happiness, quality of life, love, and freedom; and by helping them choose to live by fundamental principles of reason, ethics, and justice. 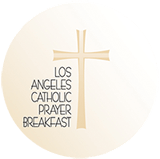 The purpose of the Catholic Prayer Breakfast is to bring Catholics from throughout the archdiocese together in community to pray and celebrate our Catholic faith, as well as to provide an edifying keynote speech. The purpose of The Orange Catholic Foundation is to serve the diocese of Orange, California — its schools, parishes, and mission. The OCF plans and conducts major diocesan fundraising programs including the Proud to be Catholic Pastoral Services Appeal (PSA) and the Conference on Business & Ethics, as well as manages endowments and various charitable funds. Catholic Distance University is a nonprofit institution of higher learning that offers an Associate of Arts in Liberal Arts with a Concentration in Catholic Studies, Bachelor of Arts in Theology (BA degree completion), Master of Arts (Theology), Master of Arts in Theology and Educational Ministry, the Catechetical Diploma, Continuing Education, graduate, undergraduate and noncredit certificates.